Cricketer: 'It's terrible. I can't score runs, I'm a terrible bowler, and I can't hold a catch. What can l do? In a country town match, the batsman was out first ball. 'Not like last week,' said the wicket-keeper. 'I can't understand it,' said the captain. 'It was such an important game that I bribed the umpire and yet we still lost. 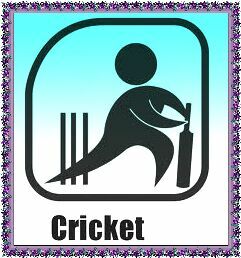 A cricket enthusiast had three trays installed in his office labelled 'In' , 'Out' , and 'L.B.W.' . A visitor remarked as he could see the significance of 'In' and 'Out' but what did 'L.B.W.' mean ?And the cricket enthusiast replied : "Let the Bastards Wait." A famous fast bowler was introduced to an arab sheikh who boasted that he had eighty three wives .The bowler said " You only need two more , and you're entitled to a new ball."